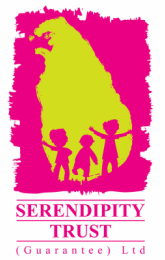 The Serendipity Trust runs a fun and creative holiday program every school holidays! Stay tuned for details on the great workshops we are planning for this December. Workshops will be on offer for various age groups for children from confident walkers through to 13 years. Activities might include Print Making, Origami, Cookery, Yoga, Paper Marbling, Play Groups, Sensory Play, Story Telling, Arts & Crafts, Play Dough, Self Portraits, Doll Making, Mask Making, Nature Crafts & Mehendi Crafts. Our twice weekly Play Groups for toddlers will also continue throughout the School's Out program. For those who can afford to pay, tickets for workshops are 300/- per child per session (200 for Play Group). These ticket sales enable us to donate at least 30% of the total School's Out Tickets each holidays free of charge to children in need. Please help us spread the word to any families with children who may enjoy these creative activities!